A first time user can learn the basics in a few minutes by following the tips in this two-minute YouTube video. The design of noiseLAB is user-driven, with dozens of features requested by advanced, professional users to give a faster, simpler workflow. 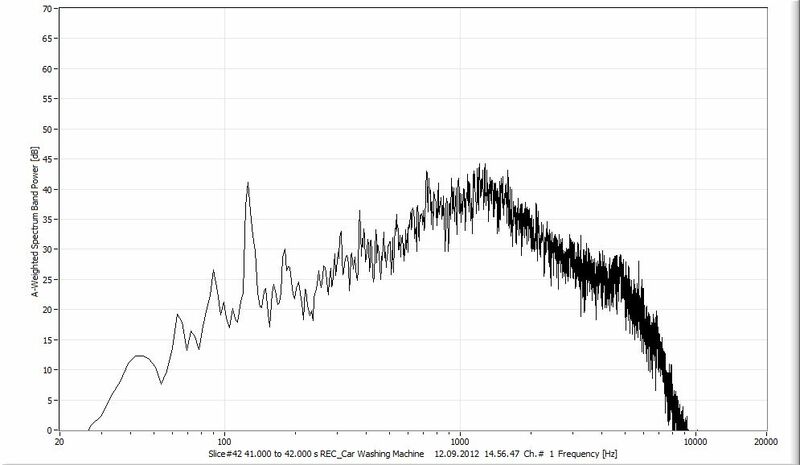 1/N octave, FFT Analysis, Sound and Vibration level with statistics. Editing the files to select the relevant part of the signal and exclude unwanted signals such as barking dogs or chirping birds. This workflow of Record, Edit, Analyze gives better results with better documentation and gives you a stronger case should your measurements be challenged. Results of all analysis types can be saved in Excel friendly form and also as fully annotated graphs in jpg format. For example, with Slice analysis, you can Slice a signal into equal duration blocks, each one second long (user-defined duration). 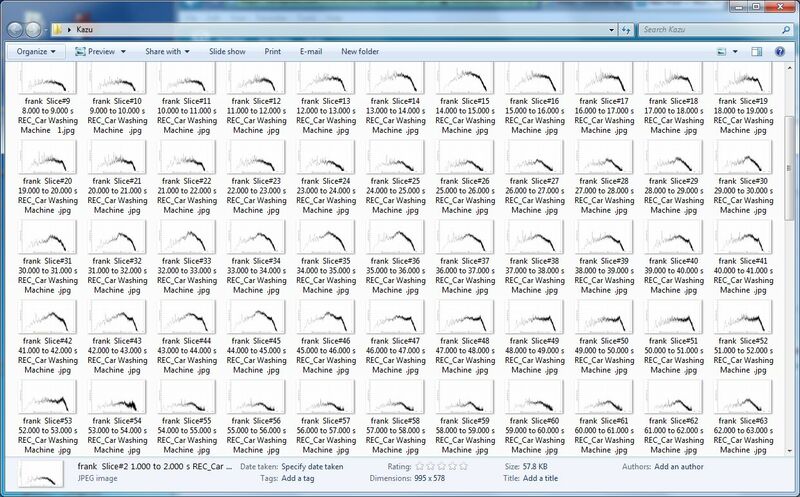 With a single button you can generate annotated jpg graphs of all the slices, as seen in this Windows Explorer screenshot. Note that the file names contain the Slice number and actual start/end times, making it easy to find the relevant files without opening them. All of this, with a single mouse click. As your experience with noiseLAB grows you will find even more features that make the product fast, fun, and powerful to work with.